Innerspring mattresses are very similar to the mattresses found in most homes because they consist of coil springs and firm padding. However, medical mattresses do have a few additional features that enable them to provide years of service within both healthcare facilities and private homes. Size/Capacity: Hospital Bed Mattresses typically measure 80 x 36 inches, making them a safer and more comfortable alternative to using an undersized twin mattress on a hospital bed frame. 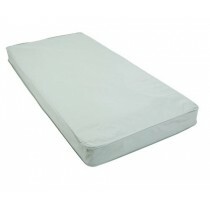 Select mattresses, such as the Graham-Field Nursing Home or Home Care Innerspring Mattresses are rated up to 350 pounds. Ease of Care: Given their nature, medical innerspring mattresses are typically covered with a robust cover that makes clean up a snap. The Drive InnerSpring Mattress features a washable cover that is anti-bacterial, anti-static and waterproof, helping keep the mattress sanitary. Comfort: Medical innerspring mattresses are among the most firm mattress styles. The Invacare Deluxe Innerspring Mattress utilizes 312 innersprings that are engineered for exceptional durability and firm support. The Drive Medical Innerspring Mattress is available with extra-firm support. 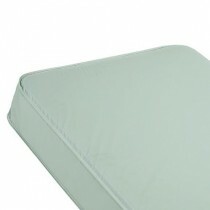 Among medical innerspring mattresses that are intended especially for private homes, look for vented mattresses. These help keep occupants cool. 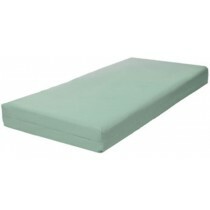 If pressure relief is needed, a Bed Topper or Hospital Bed Overlay may be used.